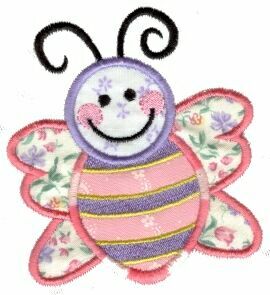 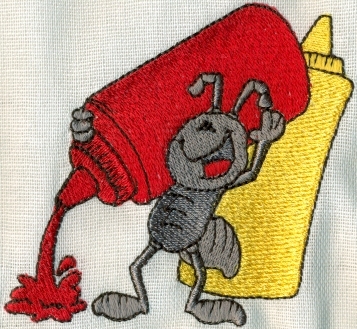 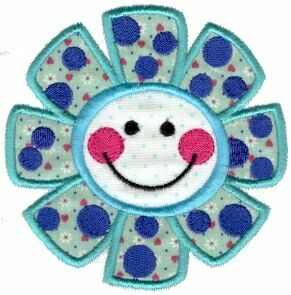 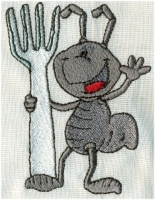 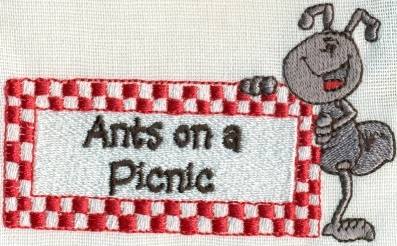 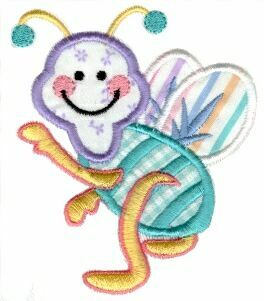 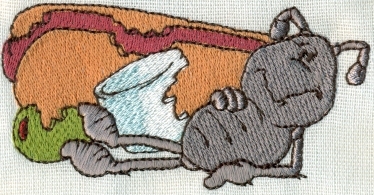 A small set of mischievous picnic ant embroidery designs. 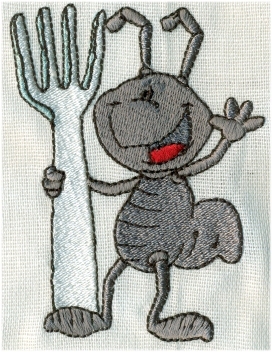 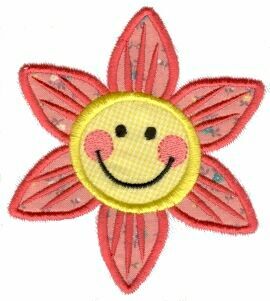 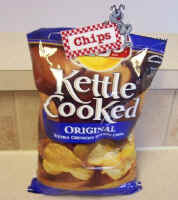 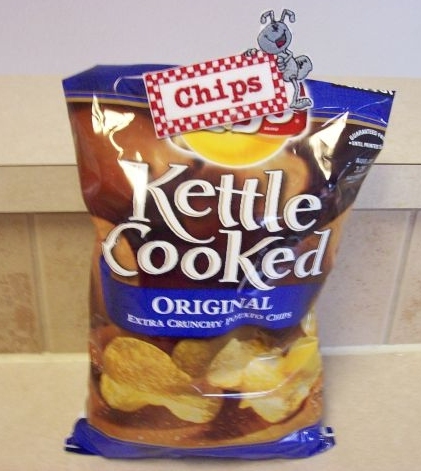 Use them to embellish all your picnic linens, a food tent, an apron, a tote bag, you name it! 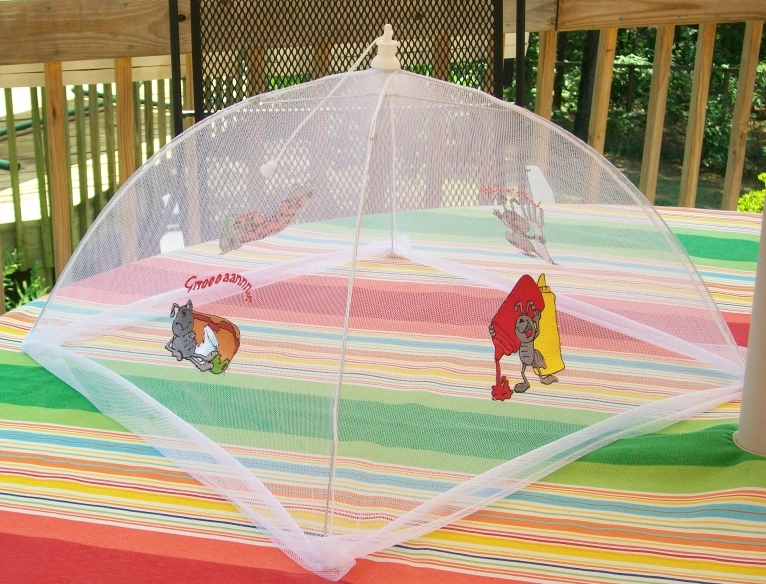 The price of this collection is only $12. 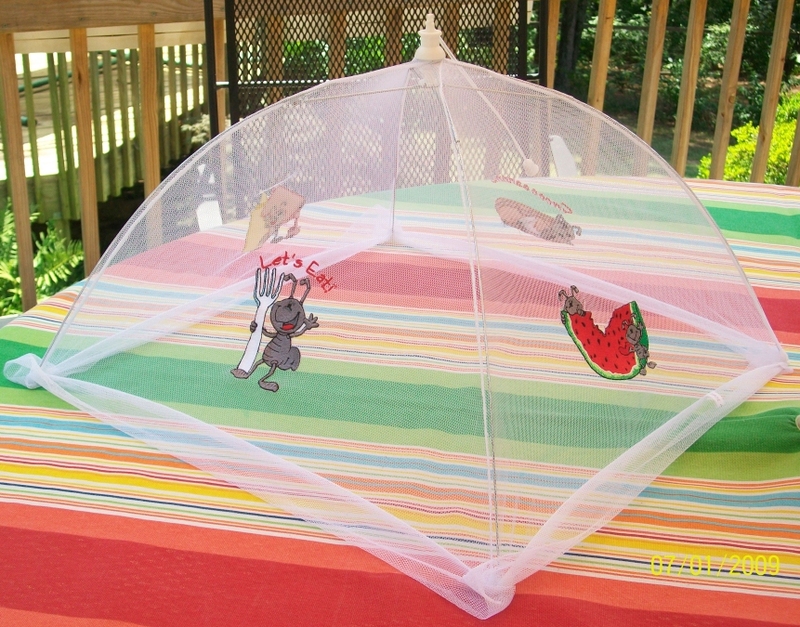 A quick project using a $5 food tent! If you add lettering, like I did, be sure to use washaway backing (2 sheets for higher stitch counts), as it will remove easier from the lettering. 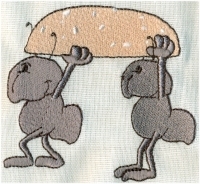 If you don't add lettering, Hydrotack works nicely as a backing and tears away cleanly from the designs. Fanchon omitted the first 2 color stops of this design, then stitched it on white Timtex for stiffness, glued another piece of Timtex to the back, then a clothespin to make this adorable bag clip. Love this idea! 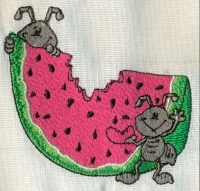 A nice set of "scrubby washrags" topped with the perfect fabric for these designs. 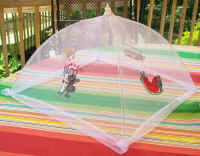 This was Dee's creative project! 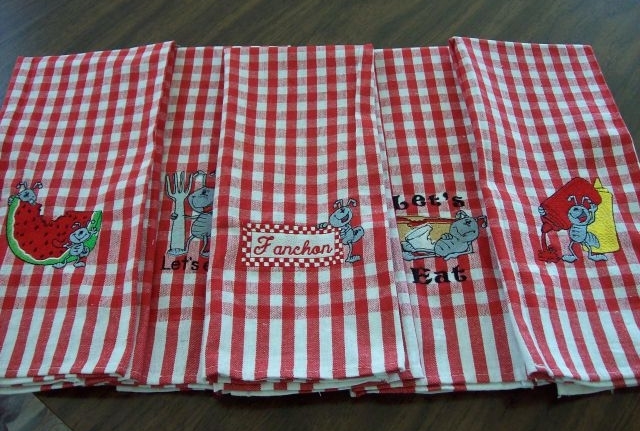 This is Fanchon's set of picnic towels. 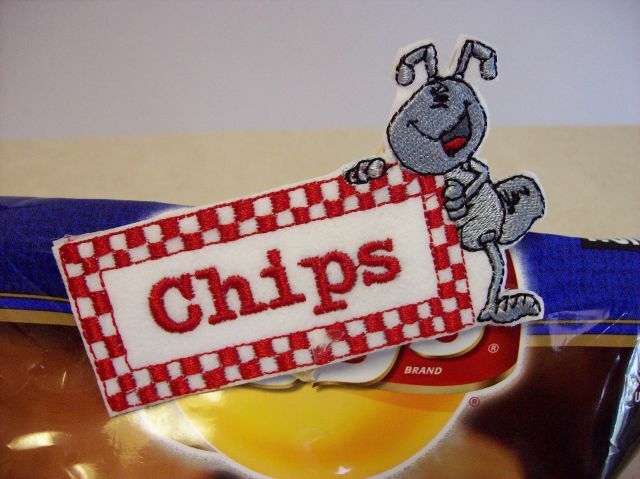 These designs look great on the red and white checkerboard.